SOLD. 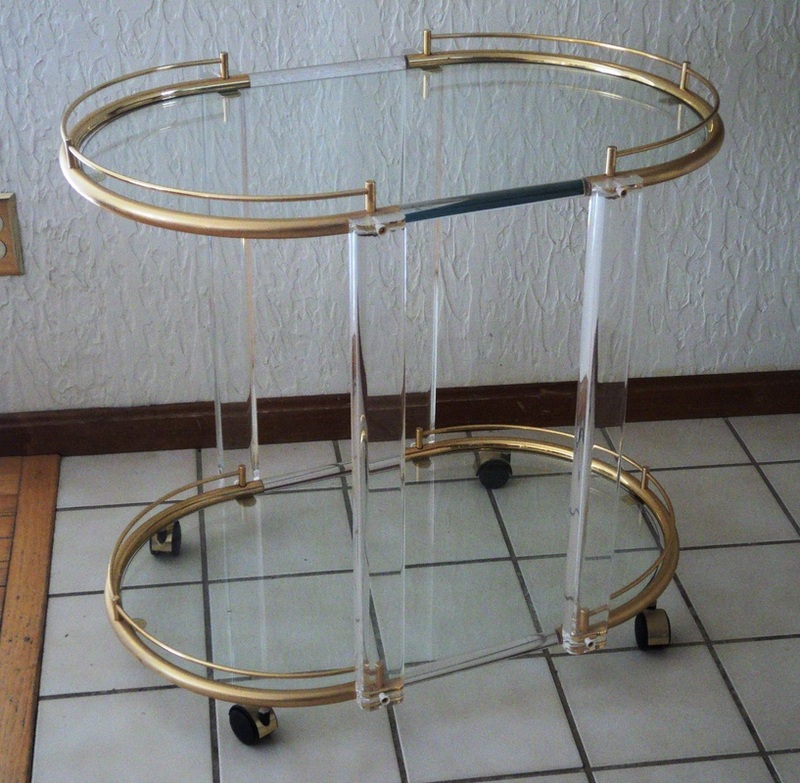 Two Tier Lucite, Brass & Glass Bar Cart. 1970s. 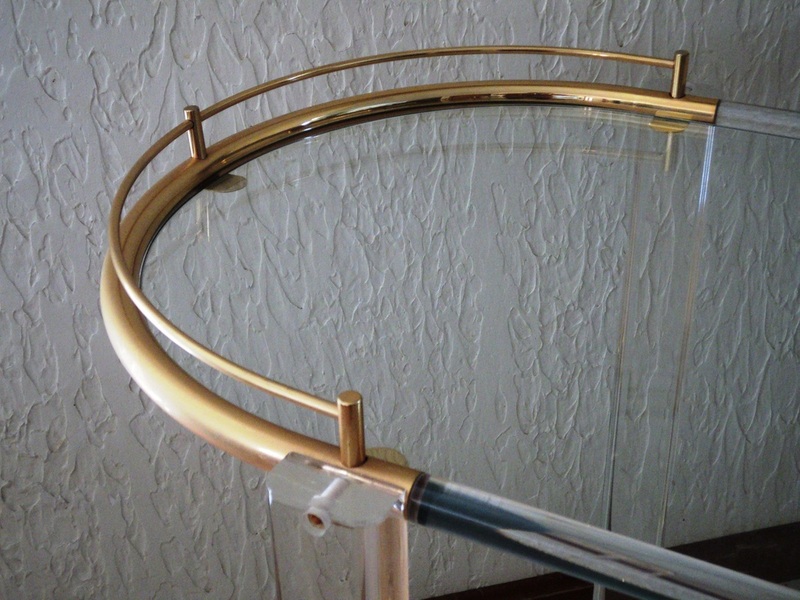 Brass Electroplated Structure. 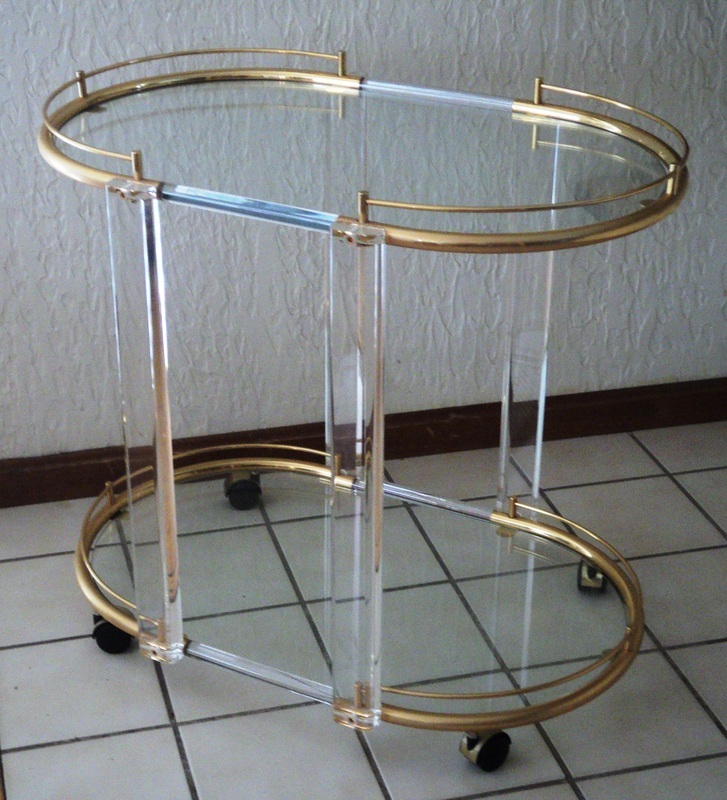 Thick Lucite Details. 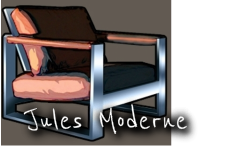 Original Glass Panes. Original Black Plastic/Electroplated Brass Casters. Dimensions: 30.5w x 27.5h x 20.75d.